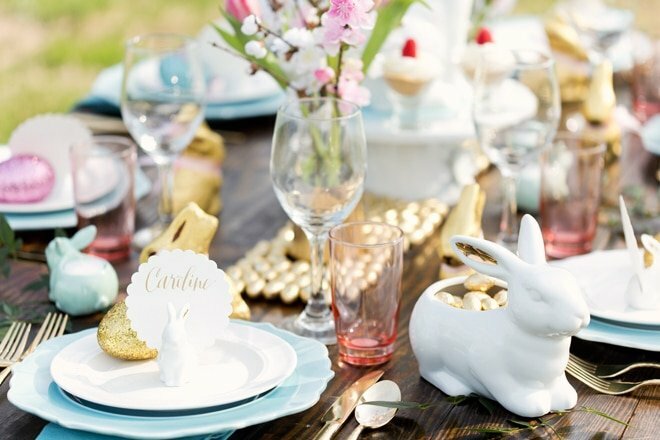 Easter is this Sunday, and I’m so thrilled to share my Easter brunch with y’all! 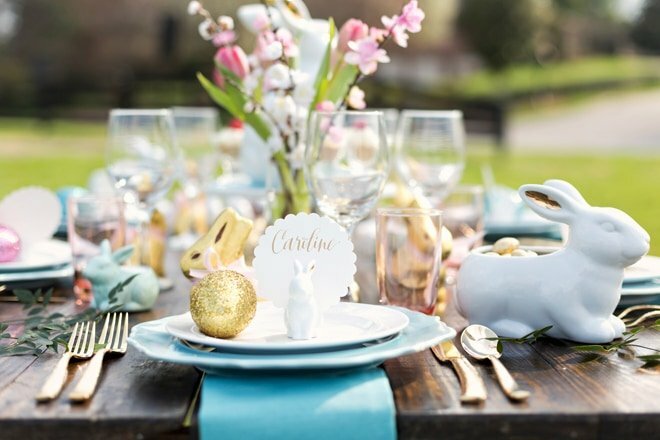 I’ve had so much fun designing Easter tablescapes to inspire you to celebrate the season with your family and friends. 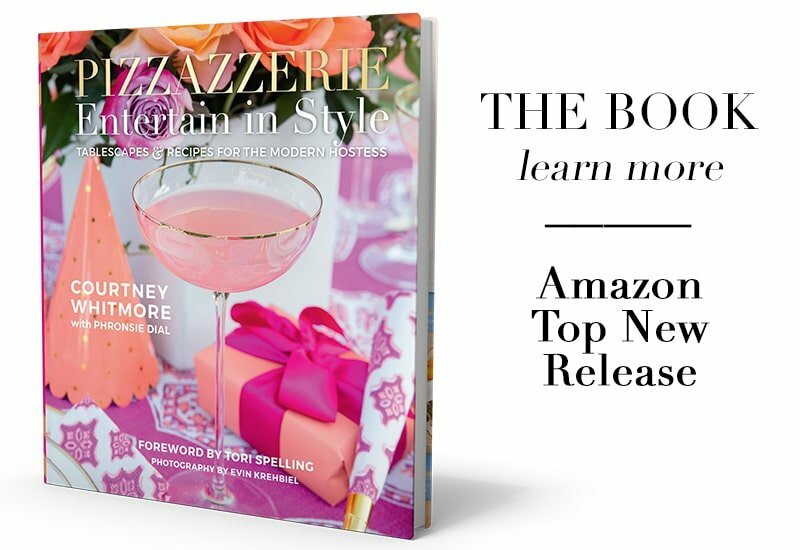 One of my main goals for this site is to inspire women to stylishly celebrate special occasions. We lead busy lives, I’m right there with you, little Blakely turns 1 in two weeks, aaah! 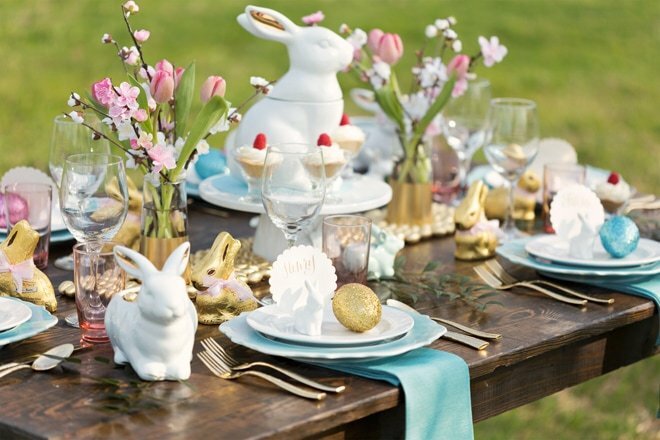 That is just one of the many reasons why I love this Rustic Chic Easter Brunch – all the items came from Target! 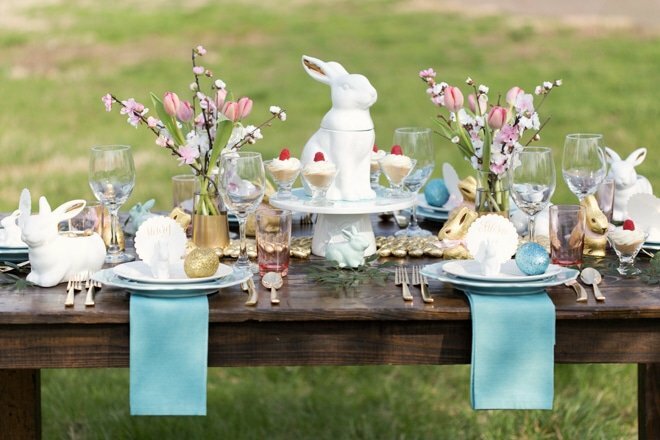 Absolutely everything on the table (with the exception of some gold paint and a few extra blooms) is from Target! 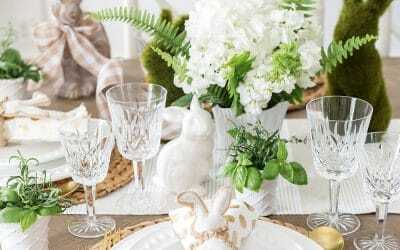 It’s easy to grab these stylish entertaining items on a Target run and have a gorgeous Easter brunch set-up for next weekend. 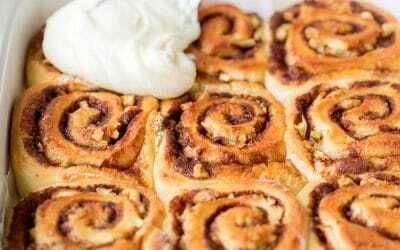 Done and gorgeous! That is how I like it! 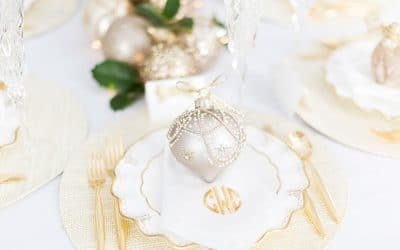 I love the touches of metallic touches of gold and glitzy glitter on the rustic farm table. 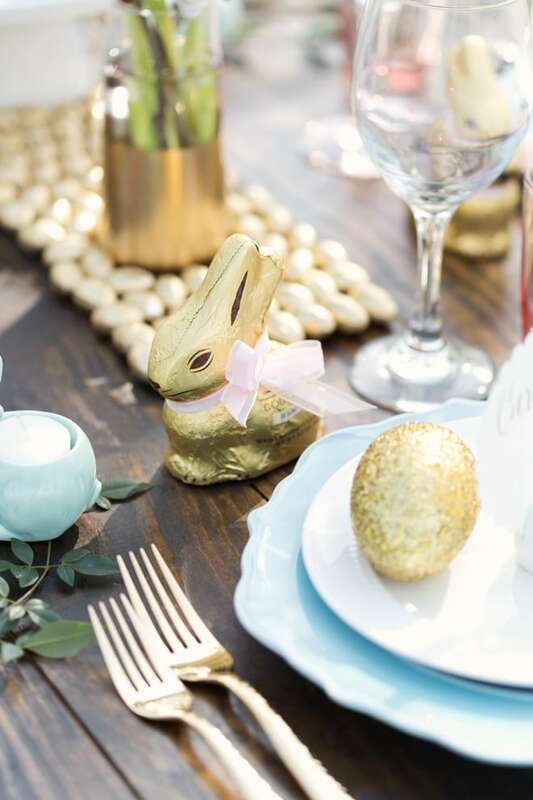 It adds such a chic tone and ties in the gold-eared white bunny decor which is my absolute favorite. 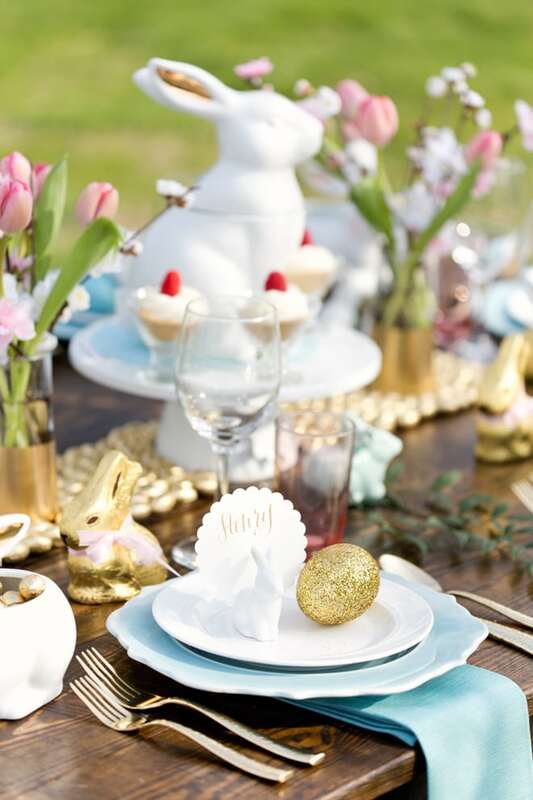 The bunny bowls, place cards, salt and pepper, and centerpiece cookie jar are all a gorgeous white with gold ears. 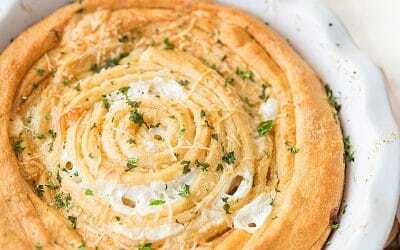 Just darling and so chic. 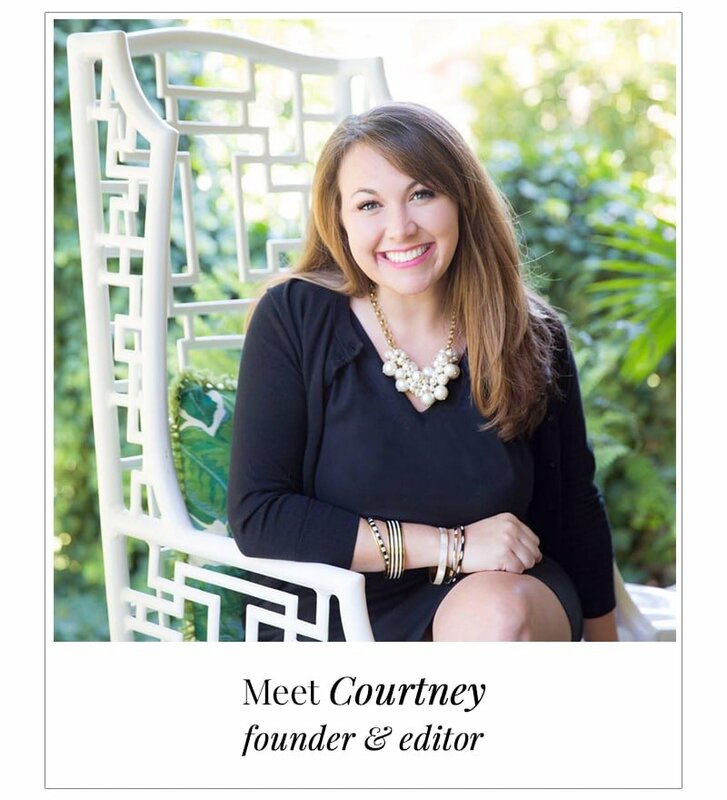 I’ve listed a few of my main design tips and ideas below as well as links to the products at Target! 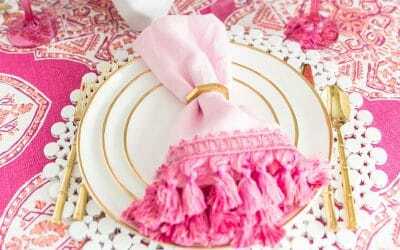 Instead of a table covering or fabric runner, I wanted to try something a little “sweeter” so I created an edible gold chocolate egg runner. 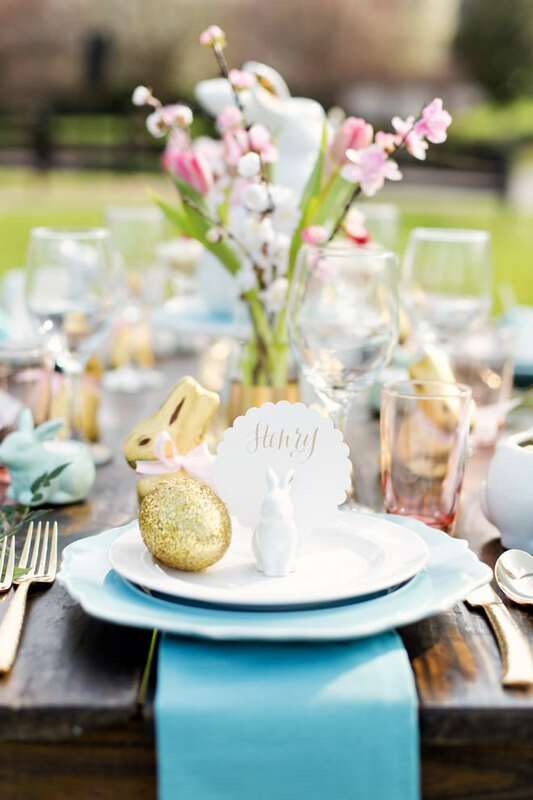 Simply arrange the chocolate eggs down the center of your table and around vases and cake stand for a sweet touch that guests will love. 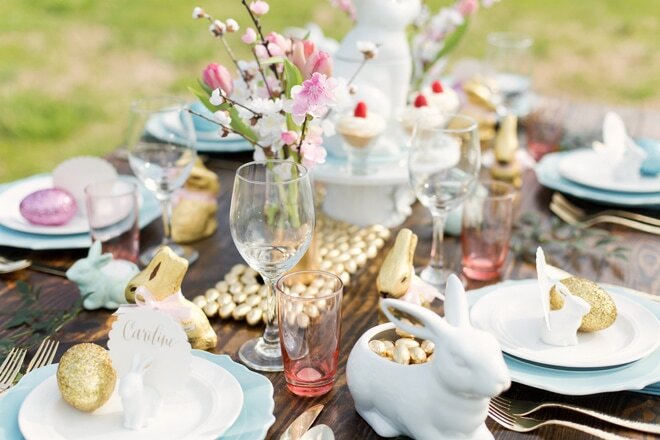 For a simple centerpiece, I topped a bunny cookie jar on a white flower cake stand. Pretty scrapbook paper (scored in the Target dollar spot) created a round topper for my cake stand to tie in the aqua color. 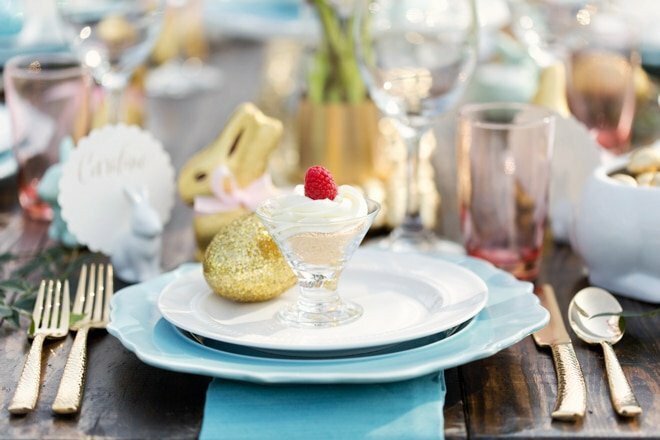 Around the cake stand were mini raspberry cookie parfaits, a sweet and easy dessert! Top crushed cookies with topped and raspberries. 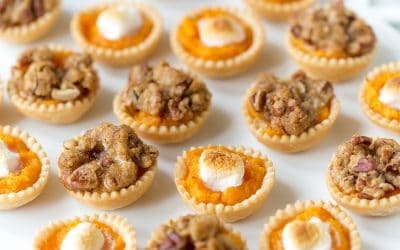 Use small ramekins, spice jars, or mini mason jars to hold the individual treats. 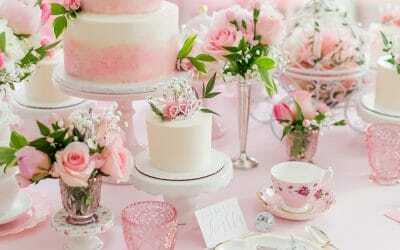 On either side of the cake stand, I displayed gorgeous white silk blossom vases. 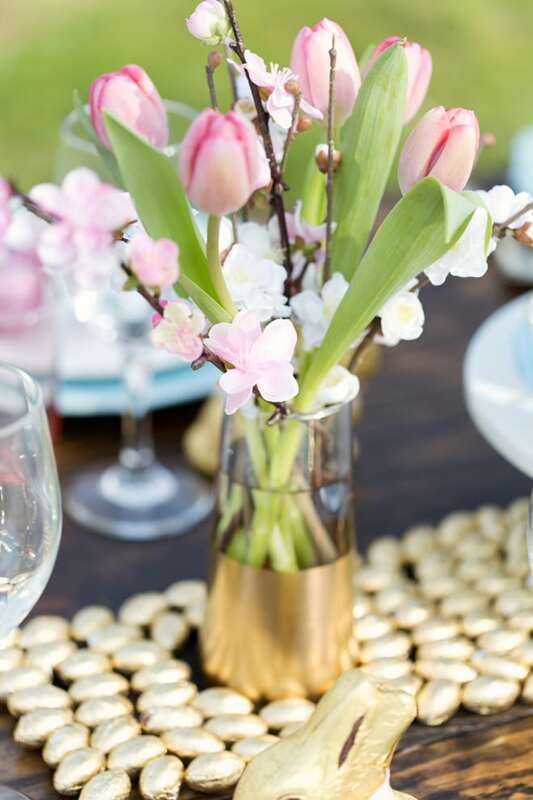 I added in my own pink blooms for added floral charm and a little gilded DIY. I taped off the top of the vase (used a plastic bag to cover the blooms) and spray painted the bottom gold. 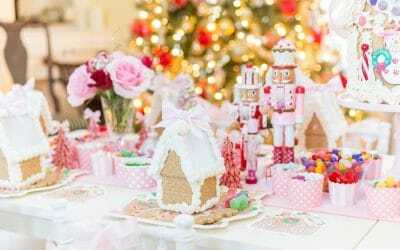 I just love them so much on this table and they double as gorgeous home decor now! 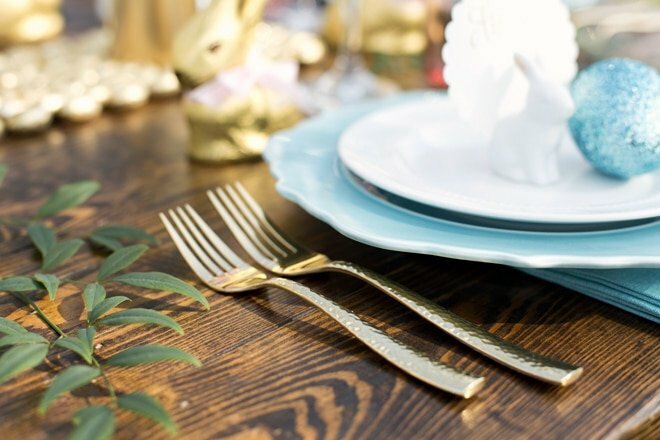 One of my favorite finds was the gold flatware, I just LOVE THIS GOLD FLATWARE, y’all! 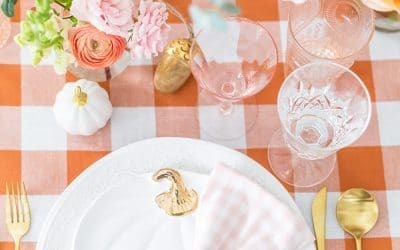 It’s a must and I know it will be used for tablescapes for years to come. It’s simply stunning. 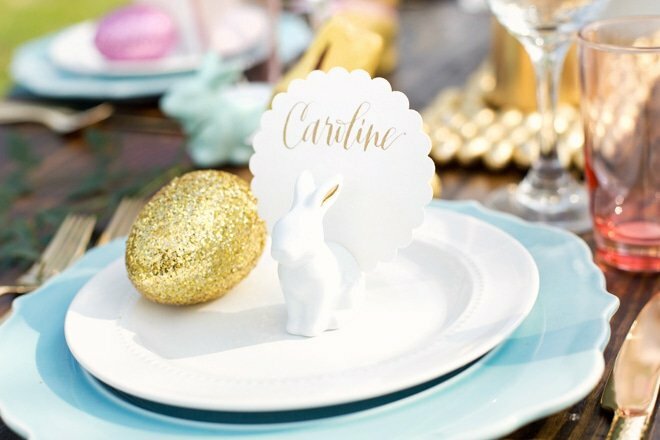 Calligraphy placecards (by HardInk Calligraphy) in gold ink added a personalized touch for each guest! 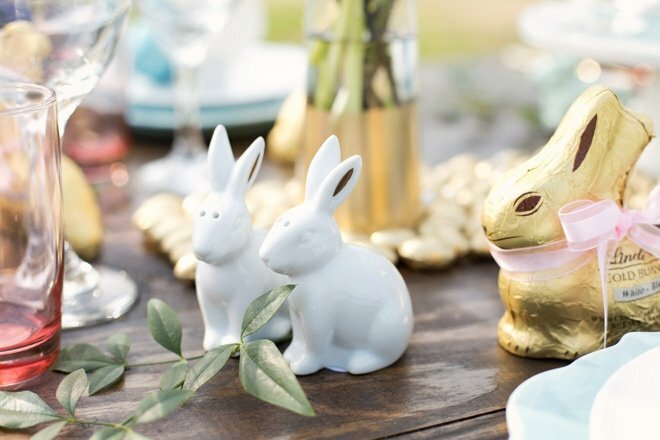 Gold chocolate bunnies were a sweet and easy favor to send each guest home with. 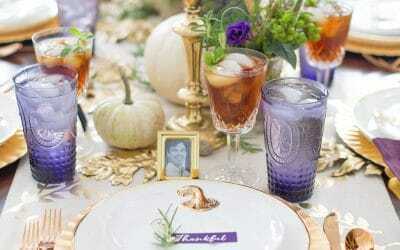 One thing to note are the aqua plates topped with white beaded salad plates. 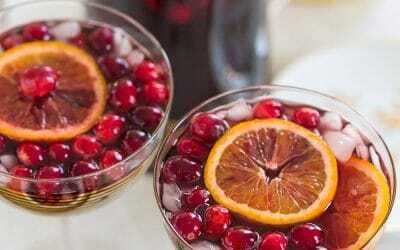 These are such a classic set and can be used year-round. 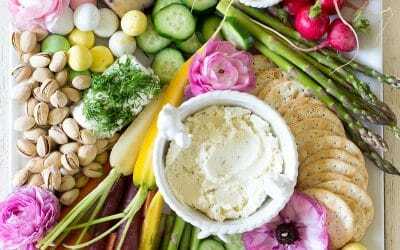 I love reusing items so a set of white salad plates are perfect for topping every dinner plate as well as using for desserts or appetizers at parties. I hope you’re inspired to recreate the look. Pick out your favorite elements or set it exactly like mine above! 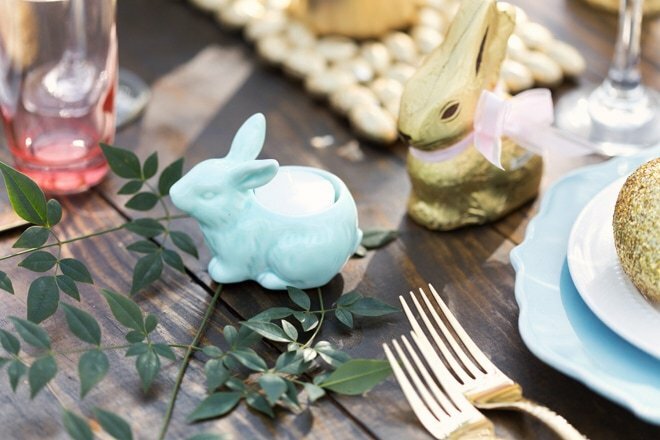 However you decide to get inspired this year, there is one thing for certain, the Target Easter items are on point this year! 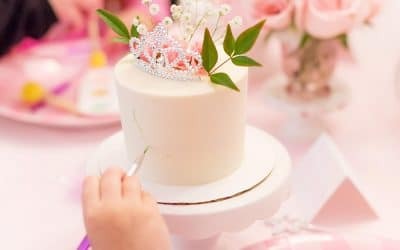 Find the links to the products below. 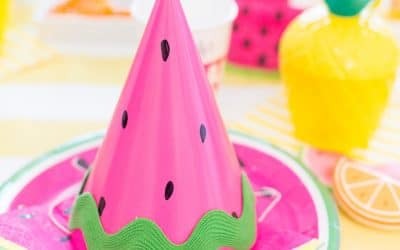 Colorful Fiesta 3rd Birthday Party! This is so dang cute!! 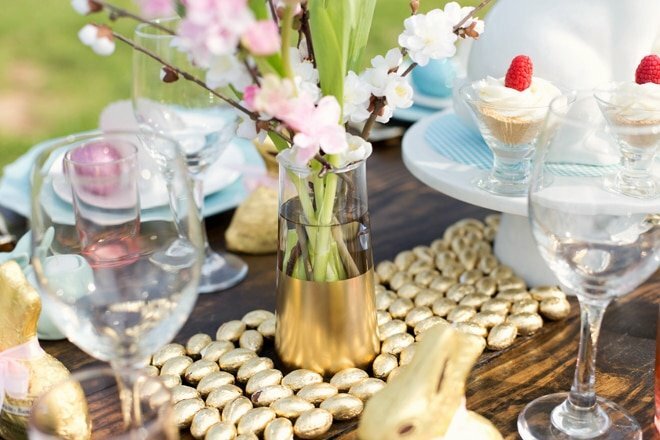 I love the little gold eggs as a table runner. 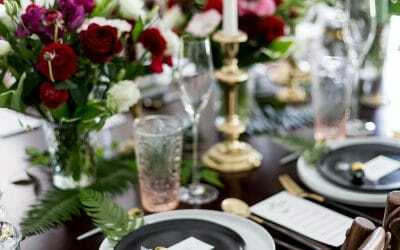 The table looks amazing! 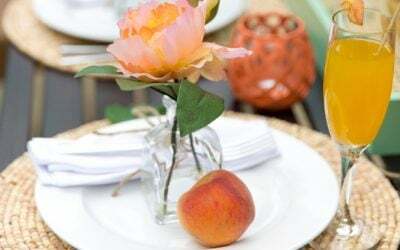 Beautiful brunch table! 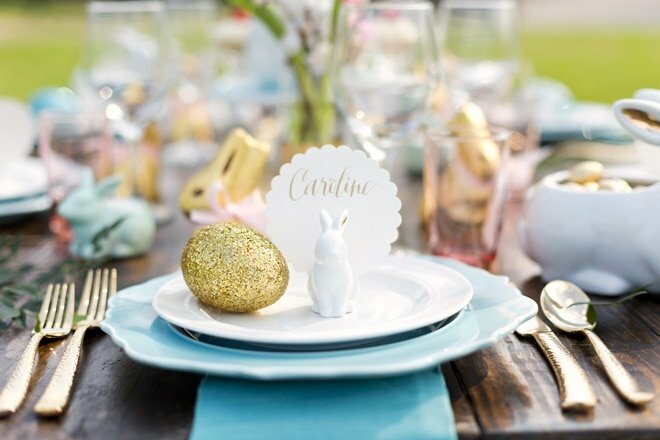 I love the bunnies and the gold glitter eggs – so pretty! Oh Robyn, thank you!! Such a sweet note! This is absolutely gorgeous! 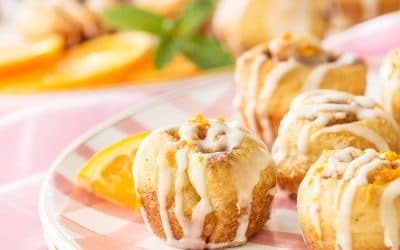 Amazing job! 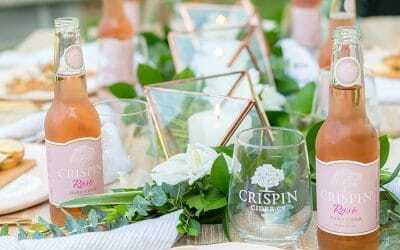 Thank you so much Cristy! Means a lot coming from you! 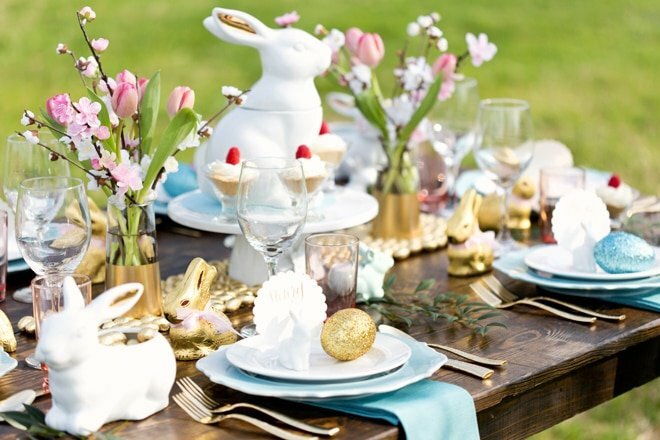 Love this especially the gold bunny ears….just can never go wrong with Tarjay!!! So true! :) Thanks for the sweet note!